This is the first of a series of posts where I will be posting results from my research project. In this post I look at documented case studies where diet changes have eliminated or reduced symptoms of RA. I’ve given a summary of the studies as well as a chart with the findings. You will note that there is a range of foods that cause exacerbation of symptoms. Important: RA is a complex disease, these documented case studies show successes, where RA is managed and symptoms reduced or even reversed in RA. This does not mean that RA can be cured. It does not mean that all people with RA will necessarily respond to diet. Overall the range of improvements to RA in diet studies was between 5 and 70% of participants. We also know that fasting ameliorates disease for almost all with RA. So diet matters, but finding trigger foods can be a time consuming process, and food triggers vary between participants. Rheumatoid arthritis (RA) is the second most common form of arthritis in New Zealand estimated to affect 0.74% – 3.2% of the population or approximately 40,000 New Zealanders. It affects 3 times more women than men (Pezzullo, 2010). RA is a chronic complex systemic auto-immune disease characterised by severe inflammation of the synovial lining of the joints. This chronic inflammation causes pain, swelling, inflammation and stiffness of the joints, eventual destruction of cartilage and bone causing loss of function and joint deformity. RA severely affects mobility and quality of life. 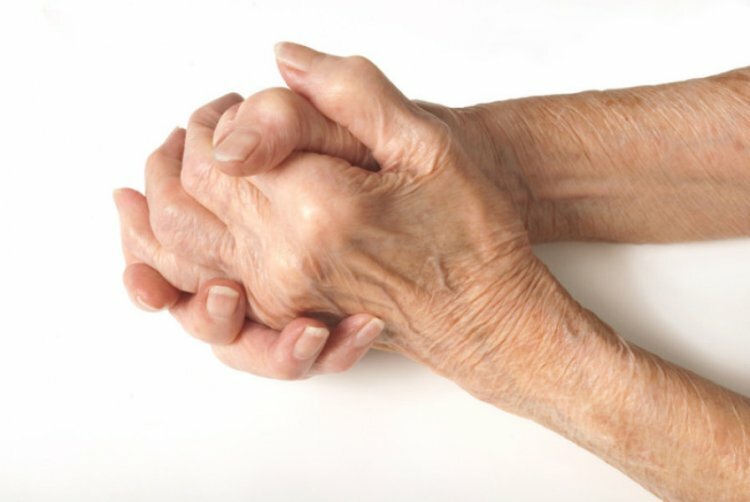 Rheumatoid arthritis also has many non-joint manifestations including inflammatory conditions in the lungs, eyes, skin, heart, brain and nerves (Scott, Wolfe, & Huizinga). RA is also associated with an increased risk of cardiovascular disease (Myasoedova & Gabriel, 2010), type 2 diabetes (Su, Chen, Young, & Lian, 2013) and osteoporosis. Despite this information, many people with RA believe that diet can make an impact. In my research project I found around 45 case studies, intervention, and elimination diet studies specifically showing the impact of diet on RA. Twelve case studies from 1948 through to 2012 are presented. In most of these studies, problem foods were tested by eliminating and then re-introducing the to see what effect they had on symptoms. Zeller (Zeller, 1948) presents 4 case studies. To identify potential food triggers for RA he took an extensive history of allergies, noting that “foods that were productive of other allergic symptoms often also cause arthritic symptoms.” He also notes that skin tests, both scratch and intradermal did not have value for finding trigger foods for RA, however positive tests were linked to other problems; allergic reactions like hay fever or rhinitis. Potential problem foods were identified, then excluded from the diet and tested with a challenge. He found the most effective diagnostic measure was food ingestion followed by white blood cell responses. Leukocyte counts dropped significantly over 40 minutes after problem food ingestion. Each person reacted to a specific food or foods, and once these were removed from their diets, symptoms resolved and measurements related to disease severity reduced, for example erythrocyte sedimentation rate (ESR). Zeller also noted that deformity and ankyloses reversed in two people over time. Foods identified in these four included milk (2), beef (2), eggs, pork(2), tomatoes, white potatoes, fish (2), banana, whiskey, beer, green beans, lettuce and nuts. Another observation of interest is the time to an inflammatory joint response after food ingestion. From the time food is ingested joint pain and swelling was noted as being 1 hour in case 1, 4-6 hours with maximum intensity at 16 hours in case 2, in case 3 response to milk was 45 minutes and other foods 3 hours, persisting for 24 – 36 hours. In case 4 pain, swelling and fatigue took 4 -5 hours persisting 36 hours. Three case studies showed patients reacted strongly to a single food or food group and when the food was completely removed RA went into remission. The foods were dairy products; milk and cheese (Parke & Hughes, 1981), corn or maize starch (Williams, 1981), and cereals (Lunardi et al., 1988). Another case study identified milk as a trigger and this was confirmed with blinded testing (Panush, Stroud, & Webster, 1986). The patient went into complete remission whilst fasting or on Vivonex, an elemental liquid diet replacement. After milk ingestion it is notable that like the Zeller case studies, post ingestion symptoms began at 6 – 12 hours, peaking at 24 to 48 hours. Whilst this response time to a trigger is similar in these case studies, another case study of a 15 year old female with juvenile RA where dairy foods was confirmed as the trigger, response time was far slower, after eating dairy products daily in 4 separate challenges, she developed arthralgia, fatigue and arthritis in 10 to 23 days. Once dairy was removed symptoms resolved in 10 days to 3 weeks (Ratner, Eshel, & Vigder, 1985). O’Banion used another method to find trigger foods in 3 case studies (O’Banion, 1982). Patients kept a food and drink diary, took their pulse hourly and recorded the severity of their arthritis pain and sleep quality. Two patients had elevated pulse rates after a number of foods. In the next phase the patients ate a diet which tested vegetables, meats and fruits one food per meal, 3 foods tested per day. Changes in pulse rate and joint responses were noted, this continued until a diet of non- reactive foods was found and patient was pain free. Food challenges continued and the most triggering foods were identified. All 3 reacted to dairy, wheat, cane sugar, corn and beef, and individually to a number of other foods. The most recent case study (Denton, 2012) and the only one found after 1988, used a more modern elimination diet which removes common inflammatory foods. After a few days the patient’s pain reduced on this diet and food challenges began. Corn and nightshade vegetables were identified as trigger foods, once removed the patient went into remission and came off all medication.